Thank you for taking the time to visit our new website. We offer driving lessons covering the South Yorkshire and North Derbyshire region to help deliver our professional, quality, patient driving lessons delivered by trained DVSA ADIs and licensed instructors. We cover Sheffield, Chesterfield, Worksop, Rotherham, Barnsley and all the areas in between. 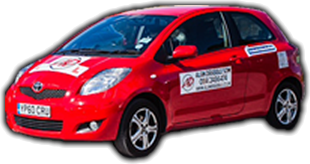 In addition to standard learner driving lessons (ie 1 hour per week) we also offer Intensive and Semi- Intensive Courses, Motorway, Advanced, Refresher courses and Pass Plus as well as Driving Instructor Training. Please look at our instructors bio pages and our testimonial pages - opinions and thanks from previously successful pupils. These have been gained by our instructors being 100% committed to helping you achieve your goal of passing as soon as possible and safely. We want to be judged by you as being - as these testimonials show - head and shoulders above other driving schools. The way we want to demonstrate this is to make you head and shoulders better than other drivers! If you have any questions regarding our driving lessons we have not managed to answer in the website content please email me through the contact page or call one of our trainers and we will be happy to help. If you have any special requirements for your driving lessons such as learning difficulties, physical impairment, language issues etc please let us know so we can help you work with these to get you safely through your test. I started to learn to drive with Carmen in the middle of last year (2018) as soon as I got on my first lesson I was very nervous like most people are but she made me feel calm and relaxed and was willing to help me in whatever I needed. Learning to drive was enjoyable and I felt very welcomed in the car with Carmen. Throughout the lessons she understood what was best for me when I stressed myself out or needed to go over something more than once. And for everything she did for me I thank her for that. A fabulous driving instructor would definitely recommend. I genuinely couldn’t have asked for a better driving instructor. Carmen is brilliant! After a car accident that put me off driving, I was lucky to find her. She helped me, going at my own pace, to regain all the confidence I had lost, and more. She is truly brilliant, such a lovely woman. She has great knowledge of driving and tips to help you along the way. I was so happy when I past my driving test first time, with only one minor! Would highly recommend! I can't thank Chris enough, he's a great instructor that kept me on my toes but now im thankful as i passed first time. Id definitely recommend Chris to anyone. I would like to thank Chris for being a fantastic instructor who was very patient and calming throughout my lessons. After being put off driving by lessons I have had in the past with other driving companies/instructors it was a breath of fresh air to have such a supportive and likeable guy teaching me. I would without doubt recommend him to anyone and can't thank him enough for helping me pass my test. First of all, I would like to thank Chris for seeing me through to passing my test. I would wholeheartedly recommend Chris to anyone who is looking to learn how to drive. An absolutely fantastic instructor who can adapt his instructing style to suit you. Chris knows exactly how to make you feel less nervous when driving and is an all-around great guy and a knowledgeable instructor. Once again thank you very much Chris, it has been a pleasure.